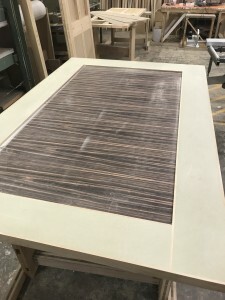 A recently completed project for a client of ours based in Jersey. 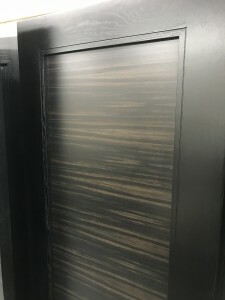 The majority of doors were a one panel design with 50mm thick European Oak stiles + rails, with 1/4 cut short grain Ebony centre panels. 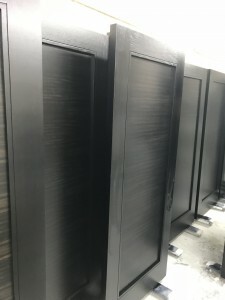 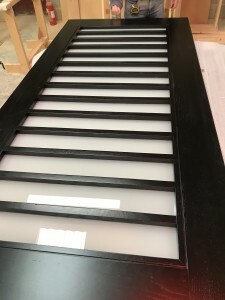 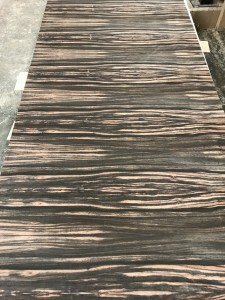 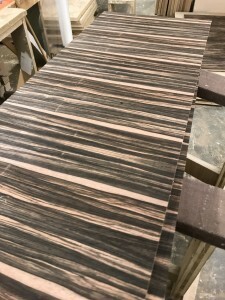 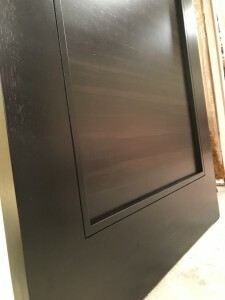 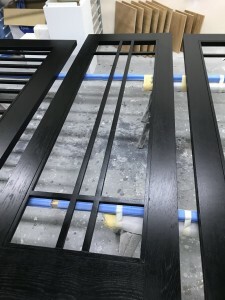 These are the Ebony veneered panels before being built into the doors. 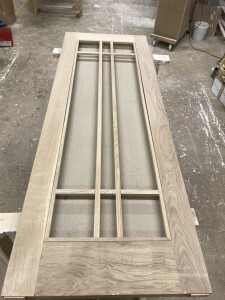 There where two large sliding doors on the project which required a recess for client artwork to be put, so this had to be built into the door as it was made. 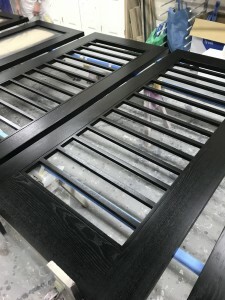 The stiles + rails where stained black + lacquered and the centre panels where a different finish, stained Zebrano + lacquered. 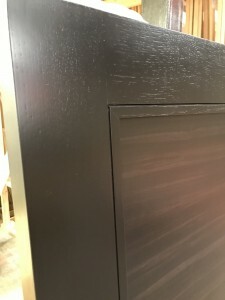 There where also a number of glazed doors on the project which had an overlaid beading design. 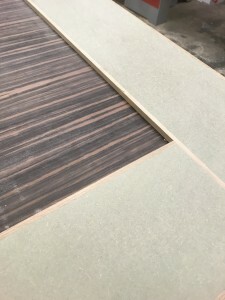 Previous blog post Previous post: We’ve Moved!